Dr. Nitin Tiwari is a 1992 batch Gold Medalist graduate from G.M.C, Nagpur. He did his MD and DNB Medicine from G. B. Pant Hospital, New Delhi., then went on to do an OM Cardiology from Sion Hospital, Mumbai and DNB Cardiology from the esteemed CMC, Vellore. Later he did his Fellowship in lnterventional Cardiology from the prestigious Nantes University Hospital, France. While visiting G R Laennec Hospital, France, he worked with stalwarts like Prof. Crochet and Dr. A. Tirouvanzium and mastered the techniques of complex angioplasties, IVUS, rotablation etc. He did his Endovascular fellowship from Klinikum Oldenburg, Germany under the able guidance of Dr. Ajay Chavan, the inventor of ‘Chavan Haverich Graft’. After working with Prof. Elsasser, Dr. Nitin Tiwari became the first cardiologist from Central India to be formally trained in TAVI (Transcutaneous Aortic Valve Implantation). He worked with Dr. Nakamura in Kyoto, Japan, where he mastered the techniques of opening 100% blockages. Dr. Tiwari has done more than 4000 complex interventions and has many grateful patients to his credit. 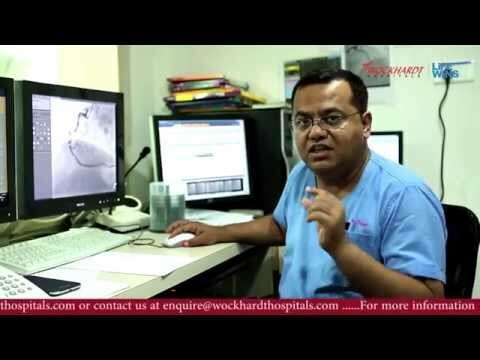 Dr. Tiwari has devised a new technique for retrieval of jailed broken wire called as the ‘Two wire technique’ which has been critically acclaimed in the field of Cardiology. 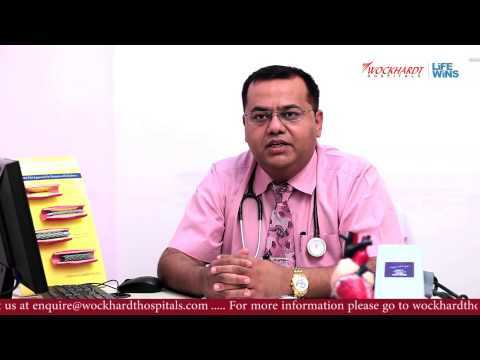 "My name is Jitesh Kumar and I was admitted to Wockhardt Hospital Nagpur. Dr Jay Prasanna and Dr Nitin Tiwari are excellent doctors in the field of heart care. They evaluated my cash. First I had an angiography where it was discovered that I had 3 blockages and Dr Prasana suggested that I would have to undergo an angioplasty. With 8 to 9 days I was feeling better and returned home. I am now able to perform my day to day activities thanks to the hospital. Besides the good medical care received by the doctors, I would also like to mention that the management and nursing staff were very attentive and efficient to all my needs. The hospital is very y clean and the general services are all very well organised. I would like to than the hospital for a successful surgery without any complications." • Dr. Nitin Tiwari is a 1992 batch Gold Medalist graduate from G.M.C, Nagpur. He did his MD and DNB Medicine from G. B. Pant Hospital, New Delhi. • Subsequently he did his OM Cardiology from Sion Hospital, Mumbai and DNB Cardiology from the esteemed CMC, Vellore. • Later he did his Fellowship in lnterventional Cardiology from the prestigious Nantes University Hospital, France. Awarded scholarship for ‘Meritorious Student’ in 1st, 2nd and Final M.B.B.S. Recipient of the following awards for 2nd place in merit list:Late Rambhai Somabhai Patel Award and Late Digambardas Govardhandas Award.